When an overflowing toilet or severe storm floods a property, most cleanup efforts focus on items obviously affected by sewage like drywall and carpeting, furnishings and appliances or equipment. These materials and possessions are clearly ruined because they stain and fall apart, won’t start or begin to mould. One trouble spot that isn’t so noticeable? Ceramic tile floors that silently conceal contamination under hard, shiny surfaces. Loose tiles, aged sealer and cracked grout can channel flood water under surfaces, soak ceramic pores, loosen adhesive and harbour bacteria. If tiles have been installed over wood, a soaked subflooring can distort and rot. 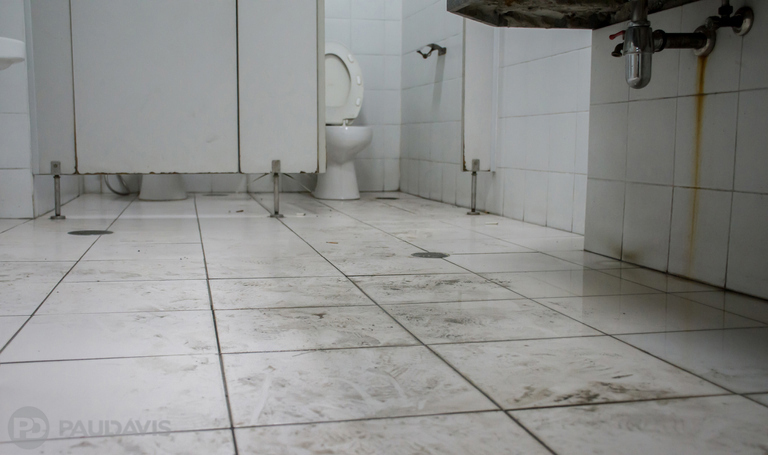 In these cases, simply drying and disinfecting the surface won’t avoid future problems like odour, mould growth, loose tiles, degraded subflooring and contamination. Even worse: damage may not be noticeable for weeks or even months after flood waters have receded – and after insurance adjusters have closed out claims. How intact is the tile installation? Do tiles feel loose or sound hollow when tapped? Is grout cracked or missing? How is the installation finished at its perimeters? Are the tiles impervious – sealed or manufactured with a glossy, factory-applied finish – or porous as many limestone, marble and artisanal types can be? How is the area used? Are occupants older adults or small children who may contact the surface more frequently or be more vulnerable to contamination? What’s the cost of replacing versus restoring? The nature of ceramic flooring – sampling or testing may be difficult or impossible – makes professional experience and judgement critical to determining the best approach. Companies like Paul Davis are skilled at working with insurance adjusters to decide the best course of action if damage is uncertain. If restoration is possible, what’s the best method? If a newer installation is sealed, uncracked and tightly grouted, cleaning and drying are often effective. Cleaning procedures usually require multiple applications – with thorough drying after each – to completely restore ceramic floors. Floods are never easy to recover from, particularly when hazards like soaked ceramic flooring aren’t readily apparent. The best course of action after the rain stops falling or the toilet valve is finally closed? Call on Paul Davis to respond 24/7 and rapidly evaluate all restoration needs, whether they are obvious or quietly lurking underfoot. This Is No Time for Second Best.